International House Movers - Compare Movers & Save NOW up to 70% ! Save yourself time and energy finding international house movers! Intlmovers is an idea way to find a number of international house movers that specialise in international removal services. You can receive up to six quotes from reliable and reputable international house moving companies. Intlmovers is a free service that allows you to quickly and easily request up to six obligation free quotes in a single submission. It is so quick and easy to use, and it will save both time and money. Better yet, it is completely obligation free so there is no reason not to compare quotes and save money! Finding international removal services for moving home does not need to be a hassle. By submitting the simple request form, your details are sent immediately to house moving companies whose profile matches your needs. It is a convenient way of finding the right international removal services but without all the messing around. House movers that focus on international removal services have years of trusted experience in their field. They know and understand the issues and challenges that an international move can bring, because they help people every day with such moves. House moving companies can prepare you for a number of tasks so that you can be assured of a smooth and efficient international move. They are up to date with the latest techniques and methods to provide the best quality service. Additionally, they are informed around all the legal requirements for customs and international home moves so that your goods aren´t held up or delayed unnecessarily. 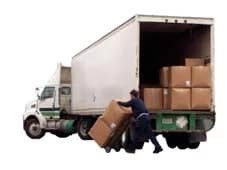 The international house moving companies that list on Intlmovers are responsible for the successful transfer of goods internationally every day. They have an extended level of experience in the international moving and shipping industry. You can trust that the house movers handling your move are adept at managing international moves in the most professional and efficient way possible.